Your product or service irrespective of its efficiency, charm and utility, will need a pitch that appeals. And it'll need an introductory video to educate the target audience about your product or service. Well before establishing a brand, building a customer impression and relation, you will need to make your initial sale, for which you will have to explain your customers, what you have to offer, in an appealing and engaging fashion. Now this explanation can come in form of an explainer write up, an audio story or jingle, or a visual explainer / whiteboard video. However, researches have proved that Visual formats of message delivery always host a superior hold when it comes to engaging and captivating audience attention. 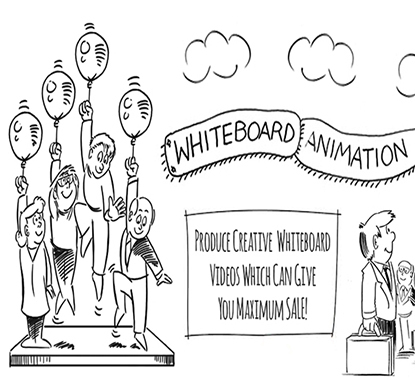 Hence to introduce your product or service offers, whiteboard and explainer videos are probably the most efficient instrument. 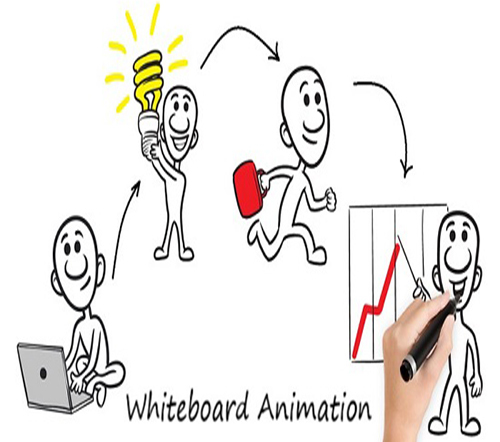 Opt the vivid explainer videos compiled with your product or service demonstration, authentic testimonies and effective pros and cons, or go along with a whiteboard animation that simplifies and breaks down your product or service description, in a step by step fashion. Implement tried and tested marketing strategies and formulas to wrap your idea with higher accuracy. By executing the grammar of marketing we make your explainer video in such a fashion that they shape out to be a sure hit among your target audience. A key attribute of an effective strategy is simplicity. A complicated content possess a higher chance of being incomprehensible to your target audience. And, your video is futile if it is not comprehended to its truest intention. Further, enclose your simple concept in the allure of art, to keep it visually appealing and engaging. Our marketing wizards at Nonstop Corporation will help you plot popular strategies like the trending AIDA model, where you arrange your content such, that it initially attracts the attention of your audience, followed by intriguing their sense of Interest, then caressing their Desires and finally sealing the deal with a charming and luring call to Action. Or, help you structure a good old fashioned Egos, Logos and Pathos strategy, that was famously invented by Hitler himself, where essentially the content is to be delivered in such an arrangement that first it sets up the platform by appealing to the ethics of your audience's character, then built on further on emotional grounds and then finally finish it off with a crystal clear undeniable logic, leaving no exit for your audience. After crafting the perfect strategy out of the hands of our marketing wiz, you carry forward the blueprints to our video making team. Who with suitable usage of footages, demanding new shots and meaningful editing, breathe life into your strategy allowing it to bloom and materialize into a most effect explainer / whiteboard animation video? Since years we have the sufficient know how, experience and statistics to judge the viability of every marketing strategy with relation to the present market set up. Hence, the strategies provided by us for your explainer / whiteboard video will have sincerely higher chances of hitting the mark. We provide you with 24 x 7 satisfactory customer services at an incredibly low pricing. We cater not just to maintain our quality but your deadlines as well. The urgency of time is never lost at Nonstop Corporation. Contact us and call us, to strategies, explain and promote!